I was in the car returning home from vacation when I got a phone call from my good friend, Karalee. She is one of the devoted workers that helps provide lunches in the summer to the children of our community. Wanting to fill me in on the details of the previous week I had missed, she was anxious to share an amazing incident. It was a typical Wednesday at the church as people assembled in the kitchen and fellowship hall making and packing up lunches. Karalee was in charge on this summer morning and was hard at work organizing the troops when her sister pulled her aside. Becky told her a man had wandered into the church and was asking if they could feed him. He said he had been out of work for some time, had no money or food and was hungry. Sadly, he had been to three different churches and no one would help him. Karalee stopped what she was doing and went to talk to him. Without pause, she made him a sandwich, then packed a large bag with the groceries we had on hand in our church’s small pantry. The grateful gentleman began to cry telling her he would begin coming to our church. He was true to his word and I had the pleasure of meeting him the very next Sunday. What makes this story so amazing is not the generosity of one woman or one church, but what had happened one hour prior. Before setting up for the summer lunch program that day, Karalee and some of our other church leaders had been in prayer together. They had been specifically asking God to send different groups of people to our church. Having a heart for the poor, Karalee had asked to pray that God would send the poor in our community to our church. God took them seriously. Isn’t it amazing that when we come to God with open, willing hearts that He will provide us with the things for which we have asked? What a privilege and honor it is to know that when we are sincere in our desires to help others that God trusts us with opportunities to do just that! He trusts us not to try to do everything on our own, but to allow Him to work through us. And when we ask, He generously provides. Ultimately, it is only in His loving provision for us that we may pour that love into somebody else’s life. Thank-you, Holy Father, for your generosity to me! Help me not to hold tightly to the things you have graciously given me, but to be quick to pass on those blessings to others. 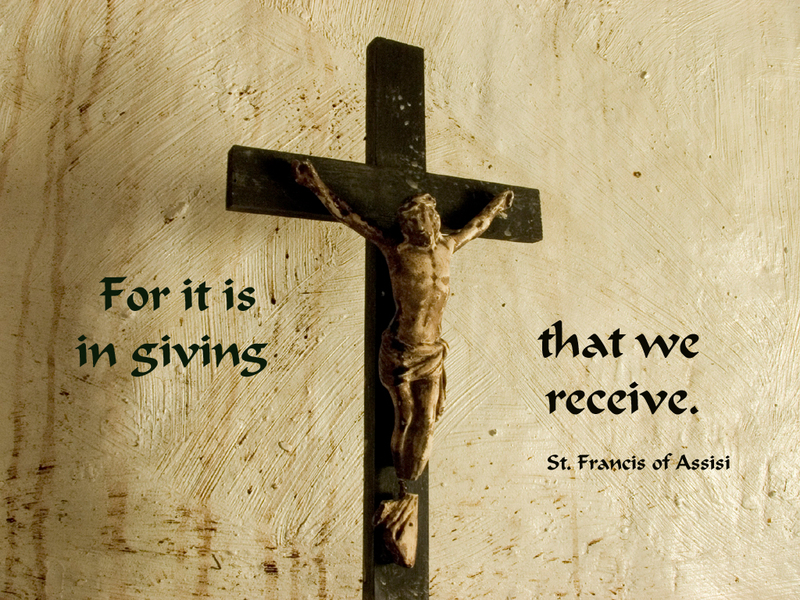 Be glorified in the giving, LORD, for truly You are the Generous Giver.